Development on single-chip touch and display driver integration (TDDI) has "fallen behind schedule," DigiTimes said on Thursday, citing industry sources. The people didn't suggest a cause for the setback. DigiTimes has a mixed track record with covering Apple products beyond its narrow supply chain focus. The latest rumor is consistent, however, with information from an AppleInsider source in June, which indicated that Apple is working towards removing the home button from iPhones, but won't have the technology ready until at least 2017. TDDI is a fundamental ingredient for such technology, and past rumors have hinted that the company is trying to build Touch ID sensors into iPhone displays. 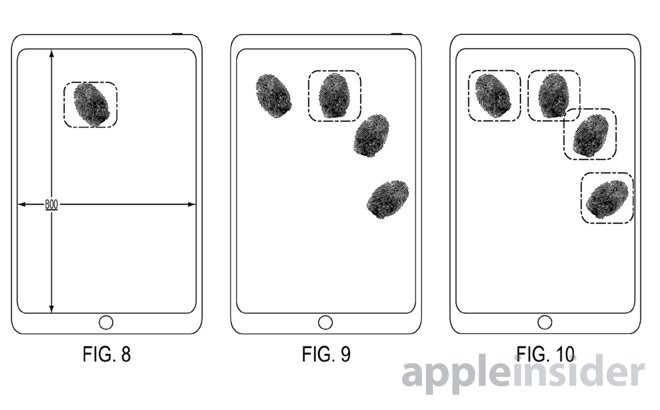 This would allow users to unlock a phone simply by touching the screen, and give Apple the option of further trimming down bezels and weight. A multi-touch gesture would likely be needed to jump back to the homescreen, unless an onscreen button is used instead. Some time ago Apple hired senior engineers from Renesas SP Drivers —now a part of Synaptics —to work on TDDI, DigiTimes added. Apple attempted to buy a controlling interest in Renesas in 2014, but the latter company is believed to have turned to Synpatics after making no progress in talks.